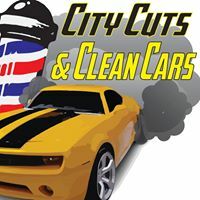 City Cuts & Clean Cars, 316-512-5777, 1211 S Seneca, Wichita, is offering a $50.00 discount in the price of a full vehicle detail. Members pay $149.99 (reg. $199.99). This price includes a complete interior cleaning, engine compartment, trunk all the body of the car or truck (including inside door jams) and wheels and tires. They also offer all SBEA members FREE Valet Service, and will pick up your vehicle and drop it off while you are at work. By appointment only, please. Must present SBEA membership card for discount.